These Panel Racking options are commonly used in Solar Farm's ! 1x Residential DAT holds 16x 350W panel Array =5.6kW DC peak power. 1x Commercial DAT holds 24x 350W panel Array =8.4kW DC peak power. 1x Commercial DAT holds 30x 350W panel Array =10.5kW DC peak power. 1x Commercial DAT holds 40x 270W panel Array =10.8kW DC peak power. 1x Commercial DAT holds 48x 350W panel Array =16.8kW DC peak power. 1x Commercial SAT holds 60x 6 Rows, 350W panel Array (image) =126kWh DC peak power. Use the above to evaluate the kW array type and size you require. NB: Only the RED cells can be changed, currently set for a 5MW DAT solar farm. Change the Panel size, Array type to suit your Latitude Location ! or 10'000 x 500W Panels, using DAT units ! Select the Solar Panel Power: NO Solar Array. 5 watt Solar Panels. 10 watt Solar Panels. 15 watt Solar Panels. 20 watt Solar Panels. 25 watt Solar Panels. 30 watt Solar Panels. 40 watt Solar Panels. 50 watt Solar Panels. 60 watt Solar Panels. 80 watt Solar Panels. 100 watt Solar Panels. 120 watt Solar Panels. 150 watt Solar Panels. 160 watt Solar Panels. 180 watt Solar Panels. 190 watt Solar Panels. 200 watt Solar Panels. 220 watt Solar Panels. 250 watt Solar Panels. 260 watt Solar Panels. 270 watt Solar Panels. 280 watt Solar Panels. 290 watt Solar Panels. 300 watt Solar Panels. 315 watt Solar Panels. 320 watt Solar Panels. 325 watt Solar Panels. 330 watt Solar Panels. 340 watt Solar Panels. 350 watt Solar Panels (72 cell). 360 watt Solar Panels. 370 watt Solar Panels. 380 watt Solar Panels. 390 watt Solar Panels. 400 watt Solar Panels. 420 watt Solar Panels. 440 watt Solar Panels. 460 watt Solar Panels. 500 watt Solar Panels (96 cell). NO Solar Array. 1.0 hour Sun. 2.0 hours Sun. 3.0 hours Sun, Fixed FLAT Panels Array (Peak). 3.5 hours Sun, Fixed TILTED 12/18° North Facing Panels (Darwin/Cains/Broome - Peak). 4.0 hours Sun, Fixed TILTED 20/24° North Facing Panels (Townsville/Rockhampton/Alice Springs - Peak). 4.5 hours Sun, Fixed TILTED 27/31° North Facing Panels (Brisbane/Tamworth/Perth - Peak). 5.0 hours Sun, Fixed TILTED 33/35° North Facing Panels (Newcastle/Sydney/Adelade - Peak). 5.5 hours Sun, Fixed TILTED 37/41° North Facing Panels (Melbourne/Devonport - Peak). 6.0 hours Sun, Fixed TILTED 41/43° North Facing Panels (Devonport/Hobart/Port Authur - Peak). 6.5 hours Sun, SINGLE-Axis Tracking East to West (Darwin/Cains/Broome - Peak). 7.0 hours Sun, SINGLE-Axis Tracking East to West (Townsville/Rockhampton/Alice Springs - Peak). 7.5 hours Sun, SINGLE-Axis Tracking East to West (Brisbane/Tamworth/Perth - Peak). 8.0 hours Sun, SINGLE-Axis Tracking East to West (Newcastle/Sydney/Adelade - Peak). 8.5 hours Sun, SINGLE-Axis Tracking East to West (Melbourne/Devonport - Peak). 9.0 hours Sun, SINGLE-Axis Tracking East to West (Devonport/Hobart/Port Authur - Peak). 9.5 hours Sun, DUEL-Axis Tracking Array (Darwin/Cains/Broome - Peak). 10.0 hours Sun, DUEL-Axis Tracking Array (Townsville/Rockhampton/Alice Springs - Peak). 10.5 hours Sun, DUEL-Axis Tracking Array (Brisbane/Tamworth/Perth - Peak). 11.0 hours Sun, DUEL-Axis Tracking Array (Newcastle/Sydney/Adelade - Peak). 11.5 hours Sun, DUEL-Axis Tracking Array (Melbourne/Davenport - Peak). 12.0 hours Sun, DUEL-Axis Tracking Array (Devonport/Hobart/Port Authur - Peak). 12.5 hours Sun, DUEL-Axis Tracking Array (South Tasmania, Mountin Top - Peak). 13.0 hours Sun. 13.5 hours Sun. 14.0 hours Sun, DUEL-Axis Tracking Array (South POLE - Peak). kW DC energy per Day. Fields indicate approx. Power production, other factors can change these results. Australian Energy Market Operator (AEMO): Electricity Data: Price & Demand, Available Here. Spot Price varies from $60~$180MWh. Change the Spot Market Price above, to see potential of Selling/Purchasing at Market rates. Change the Spot Retail Price, to see the Income potential from a Solar Farm. Important: Please note that all amounts and estimates shown above can be set to suit multiple configurations, and are used for symbolic estimation purpose only. 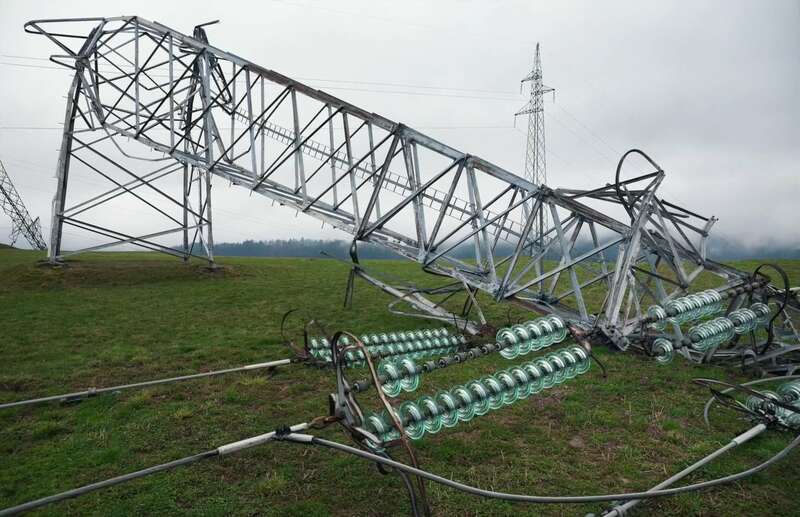 The actual figure depends on lots of issues including quantity of sun (cloud coverage), single or duel axis tracking, cabling (DC/AC), electrical connections and electronic losses etc. These amounts and figures should be considered as example only, and under whatever circumstances, we do not make any guarantee, or cannot be held responsible about these estimates, if used as an actual return to investment!